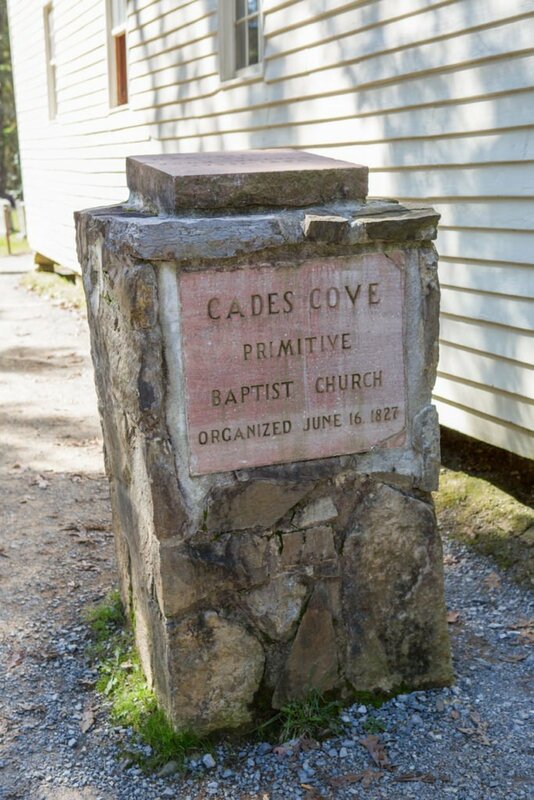 The Primitive Baptist Church, which was originally established in 1827, can be found by turning left off of Cades Cove Loop Road on the next road after the Oliver Cabin. 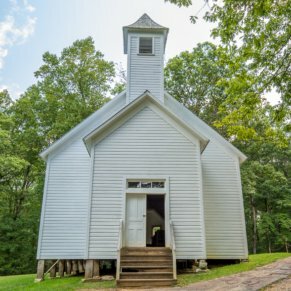 This congregation was the first of three churches established in Cades Cove and experienced a major split due to different religious interpretations regarding temperance societies, Sunday School, and missionary work. 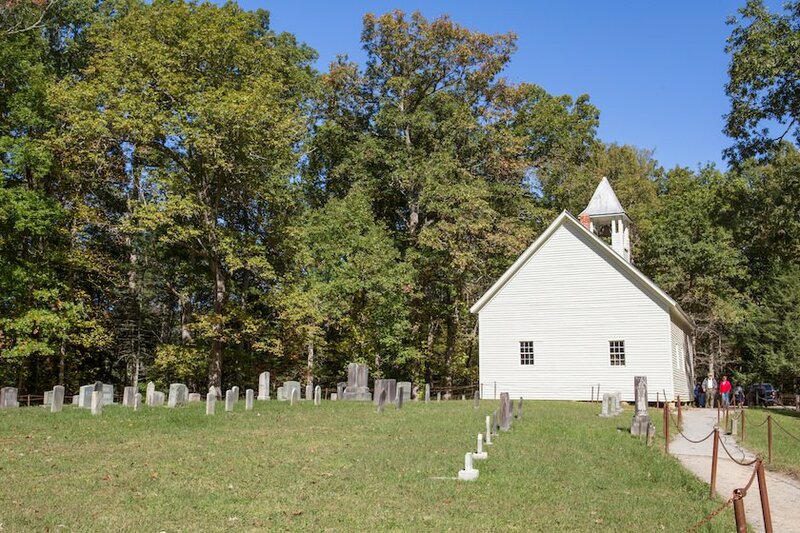 Until October of 1832, the church did not have a building and met in members’ homes. 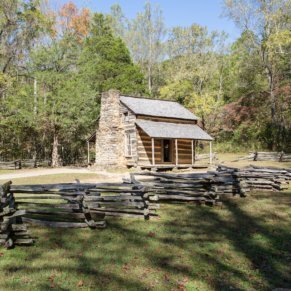 The original building was built out of crude, unfinished logs and is not the structure that you will visit. 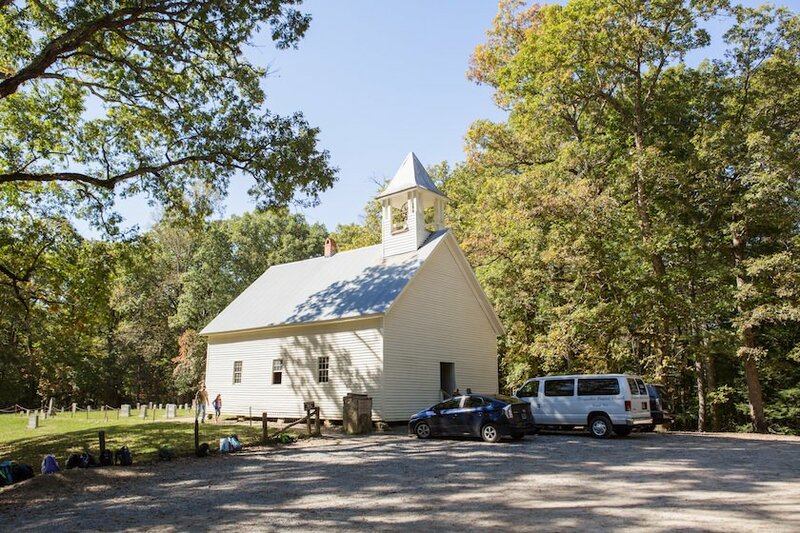 Rather, the current modernly framed structure was constructed in 1887. 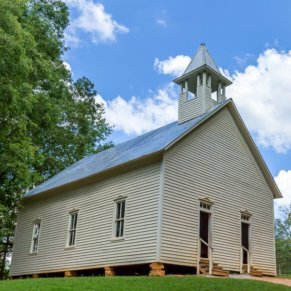 Since the Primitive Baptist Church backed the Union during the Civil War, the church decided it was too dangerous to meet during the Civil War due to the strong Confederate presence in the area. 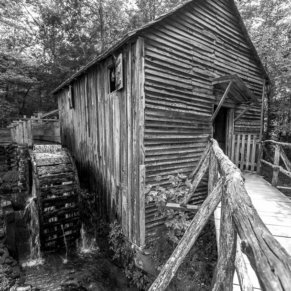 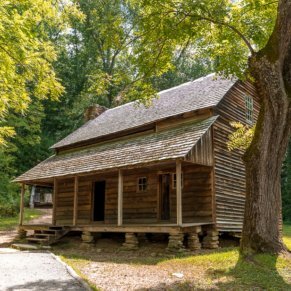 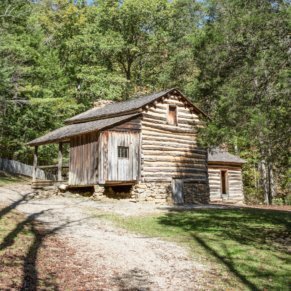 Following the The Primitive Baptist Church refused until the 1960s – over 20 years after the Great Smoky Mountains National Park was formed! 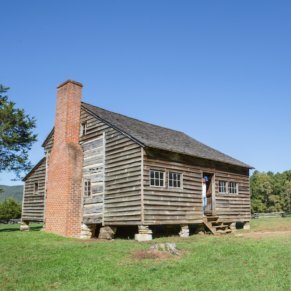 These buildings were built by hand – look up and you will see the handprints in sap on the wood-planked ceiling where the carpenter set the boards by hand.